Sir Nicholas Winton, is a hero, but he never flaunted it. Between the years of 1938 and 1939 he rescued 669 Jewish Czech children from Nazi death camps, and brought them back to the UK. Winton was a stock broker at the time and was able to arrange a total of eight trains to carry Jewish children out of Nazi occupied Prague. 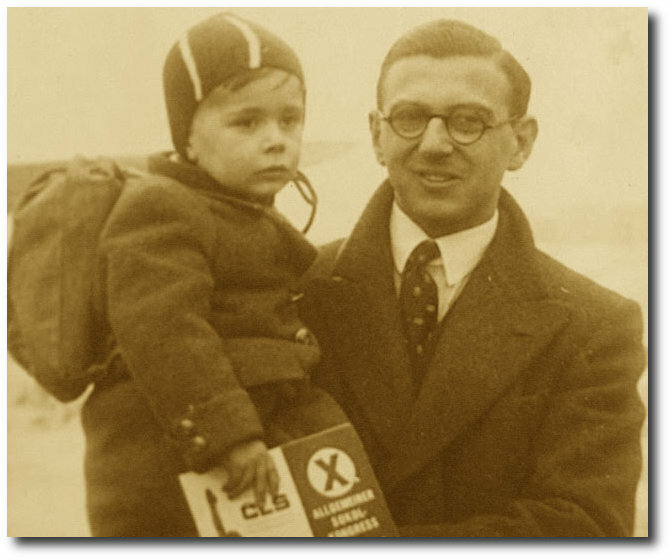 Anyone in his situation would tell the world about such a great deed, but not Nicholas Winton. His heroic acts were all but forgotten until his wife Grete found an old photo album from 1939 with a list of all the children’s names and photographs. In the video below, Sir Winton was invited to take part in a show called “Thats Life” which aired back in 1988. Watch as he has no idea that some of the people sitting around him were the children he saved. 6,000 people owe their existence to Sir Nicholas. Can you imagine saying goodbye to your children on a train heading to a death camp? Many of the parents were faced with that terrible moment, seeing their children for the last time, yet somewhere inside having hope that they would have a better life. More than 370 of the children he saved have never been traced and do not know the full story.